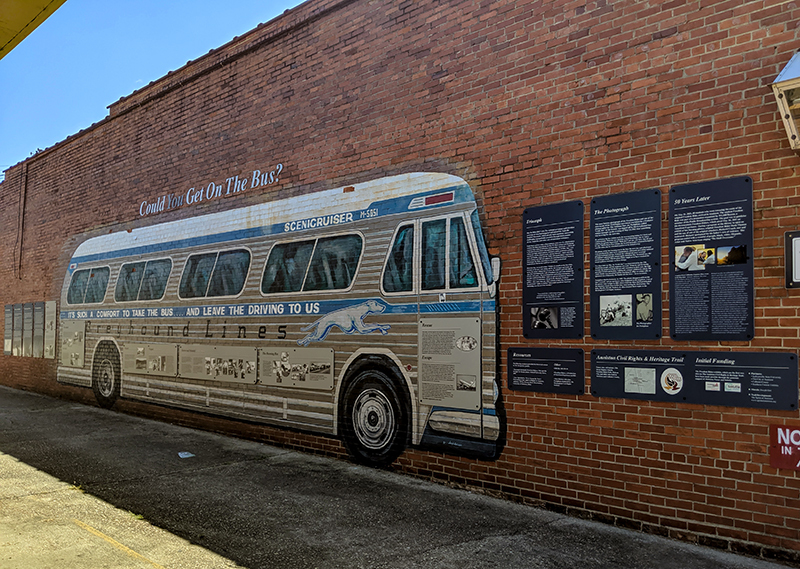 The Freedom Rider Murals in Anniston, Calhoun County, commemorate the attacks on civil rights volunteers at the city's Greyhound bus station in May 1961. The murals depict the two buses involved in the incident and are part of the Freedom Riders National Monument, created in January 2017 by Pres. Barack Obama.